People from colder climates come to the Bay Area and claim that we don't have seasons here. But that is not true. You can almost tell the day of the month from some of the trees around here. 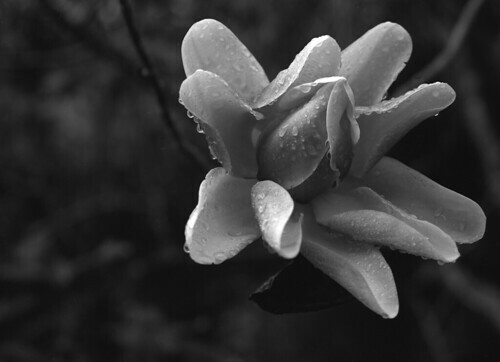 This Magnolia (I think it is Magnolia × soulangeana) in particular is like clockwork in the month of February. If I can remember to keep it up, I'll post something for each month. This one lacks the delicate pink coloring because I dragged out my 64 year old 4x5 speed graphic to take the shot on black and white film. Click the image to go see a larger version. The previous article is New Fields in Microsoft Project 2010. The next article is Rebuilding the Project Management Web.